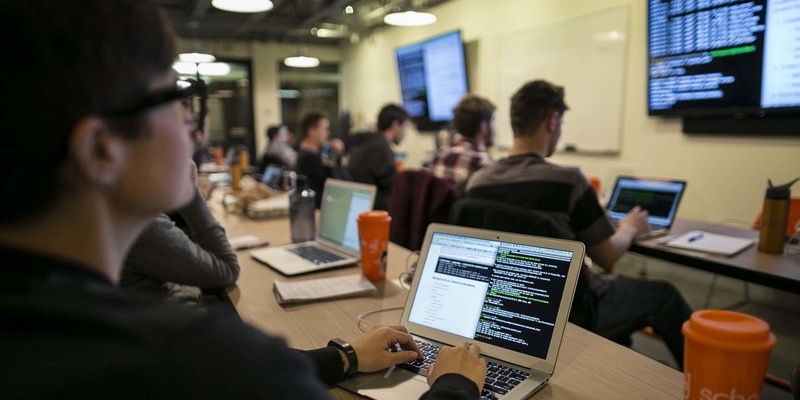 FastTrack your way to becoming a Web Developer at Galvanize. Got the technical skills to FastTrack your way to becoming a full stack developer? Complete the Galvanize immersive in less time by testing into the 2nd or 3rd quarter of the program and take advantage of our career services to find your ideal technical role. Full stack developers are in high demand, and Galvanize placement rates are top in the industry. Galvanize grads land jobs at top tech companies, including Amazon, McKesson, Facebook, Uber, Allstate and USAA. Take skills you’ve learned on your own or through another program and make yourself marketable in the Phoenix tech community. Act now to secure the anniversary discount and take up to 40% off the Galvanize tuition. Learn more at the next discovery session on June 27 at Galvanize, or schedule time to talk to the admissions team. RSVP here. Anniversary special expires 7/31/18, so act now to reserve your spot.